When people come to my house for the first time and see my diverse shoe collection which is crammed into a over the door shoe holder thing, the usual response is an audible gasp immediately followed by, ‘Oh WOW! That’s a lot of shoes…‘. Shoes travel life with you, showcase your sassy self, and always fit even if you dove head first into the peanut butter jar the night before. Imagine my absolute glee when the cutest running shoes on the planet showed up via FedEx! 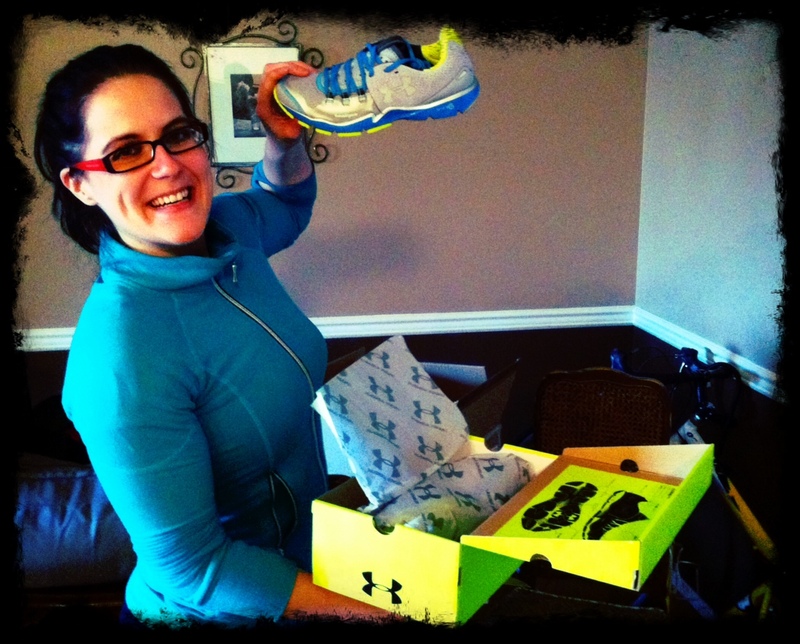 Meet the distinctly cute Under Armour RC Charge. I think I made some sort of high pitched 'squeee' noise when I pulled them out of the box. So cute! 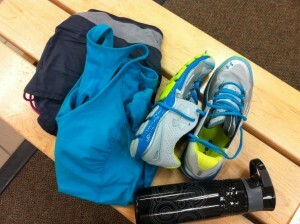 As though it were a match made in heaven, they perfectly coordinate with my latest workout outfit. Perfection! How much more coordinated can a Figure Competitor get? Cute is good, but functional is GREAT. I have way too many shoes that are made for ‘sitting‘, so I wanted to give these babies a good beating to make sure they are more than a ‘pretty face‘. Its go time. Show me what you're made of. I popped them into my Livewell360 Core bag and put them to the test twice this week. RC Charge meet leg day and floor hockey. I only scored two goals. I think the cuteness distracted me. I wanted to make sure they lived up to the hype. Exclusive UA Micro G® foam cushioning is light, bouncy & super-responsive. 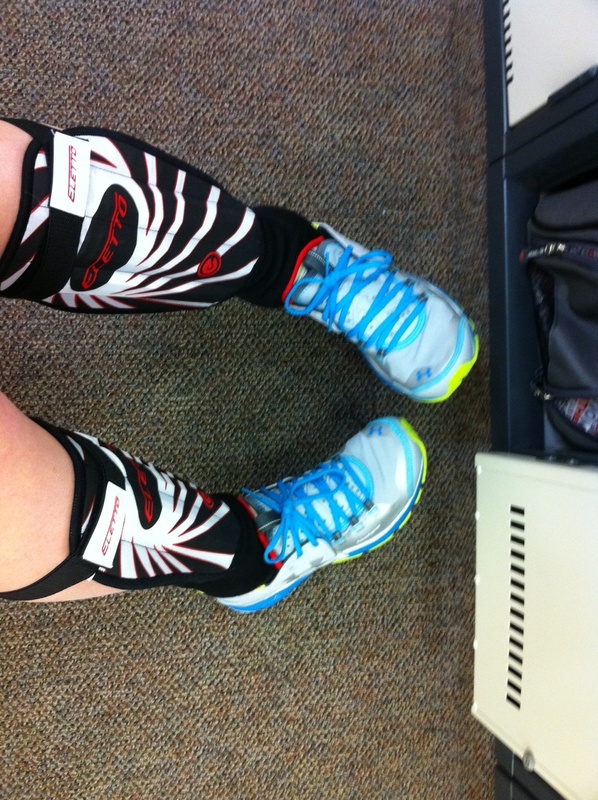 Zonal UA Compression hugs the foot & promotes power. Built-in Carbon Spring Plate maximizes energy return. Ultra-light MPZ® toe & tongue pads protect your feet. HeatGear® fabric wicks moisture for cool, dry performance. Carbon & blown rubber outsole delivers cushioning, traction & durability. Honestly, they are ‘freakishly amazing’. Under Armour’s RC Charge is a great shoe and worth the price. This Figure Competitor gives them two thumbs up and will be rocking them every day at 6:30 am while lifting baby weights and not harming the skinny and confused man at the YMCA. 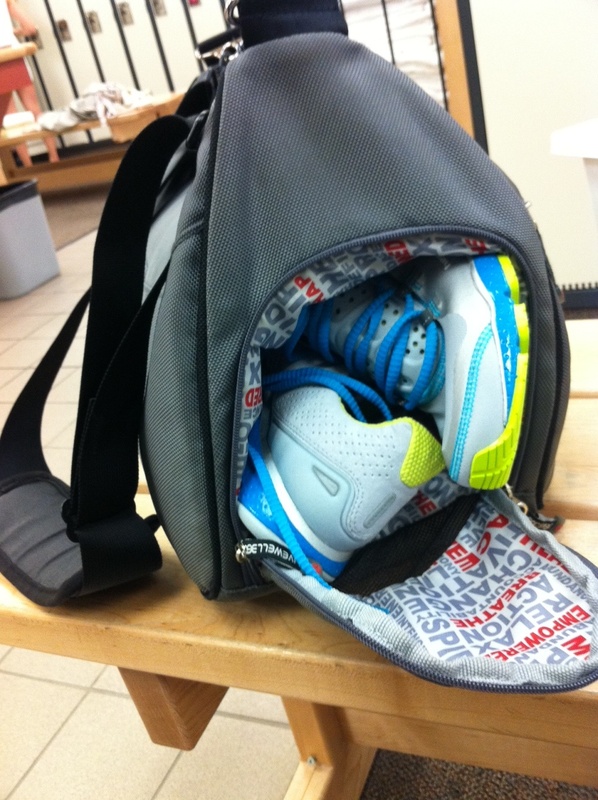 What shoes do you train in? Are the ‘freakishly amazing’ too? Wow!!! I love your new haircut!!!! AND the shoes are cute too. I know, they are SUPER cute!! 😀 Love ’em to death. Really? 🙁 Perhaps an athletic store New Zealand that carries Under Armour will bring them in!! Hmm….let’s see if I can get anywhere! I have good news! Email coming your way shortly!! I am 99% sure I was just sold on that shoe. Under Armour should pay you for that advertisement! 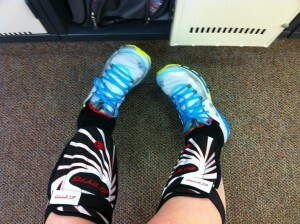 And you are right abut noticing the shoe during cardio… I always notice mine. Always. No noticing your shoes during cardio!!!! 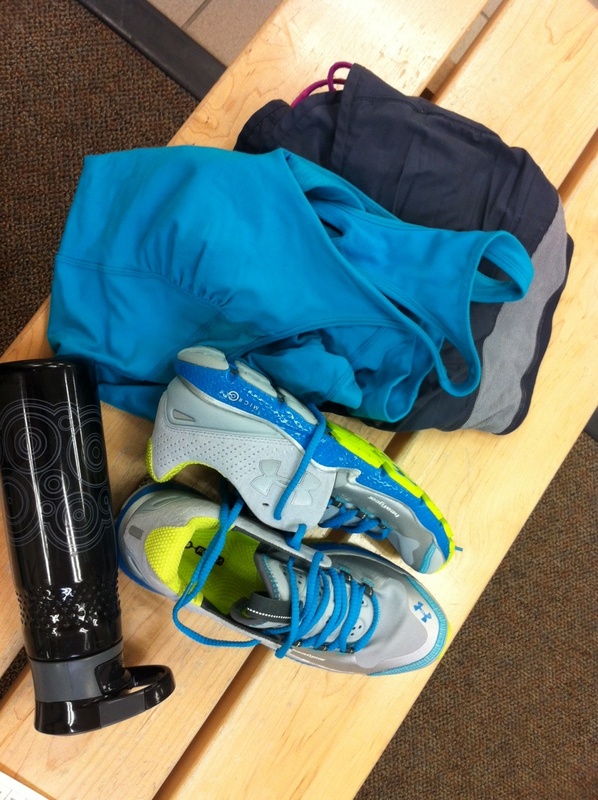 I’m a New Balance girl…. but those shoes of yours are super awesome!